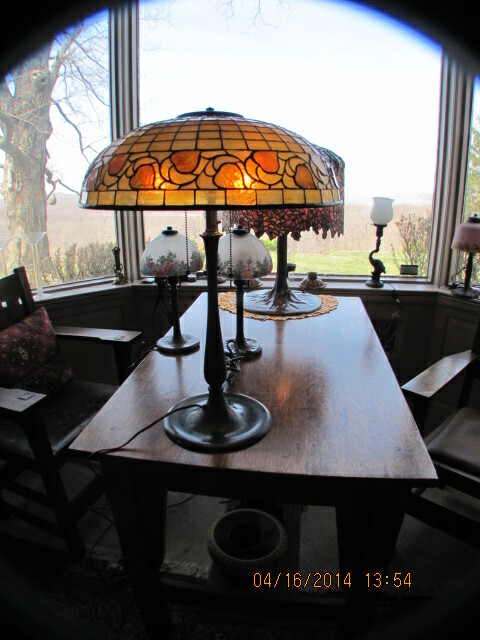 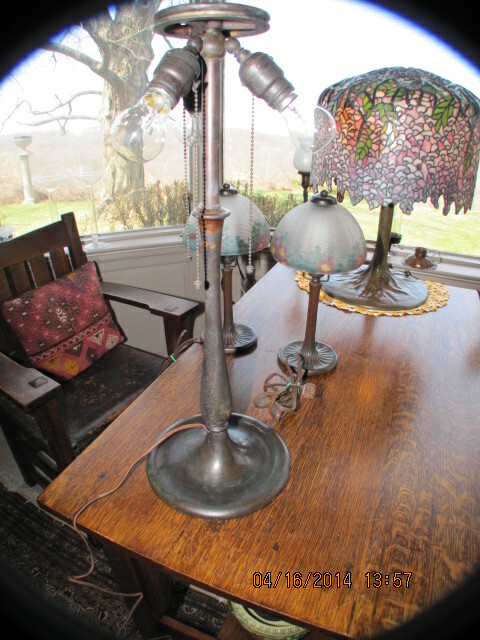 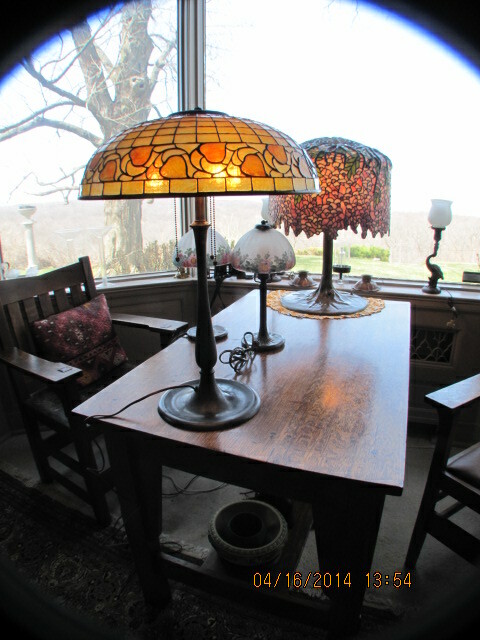 Here for your consideration is a really outstanding and rare BIGELOW and KINNARD table lamp, the best ever. 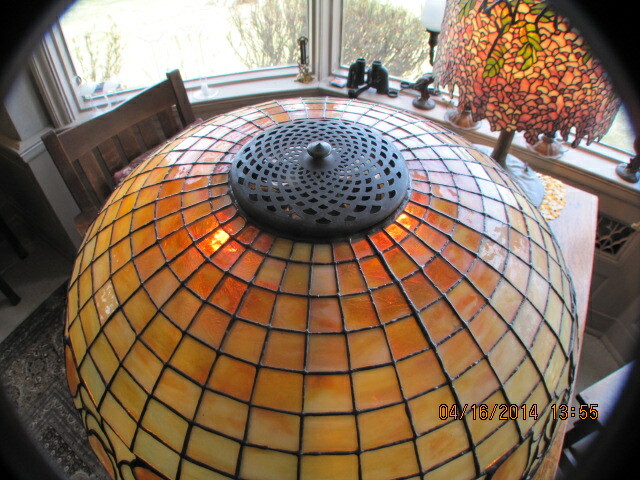 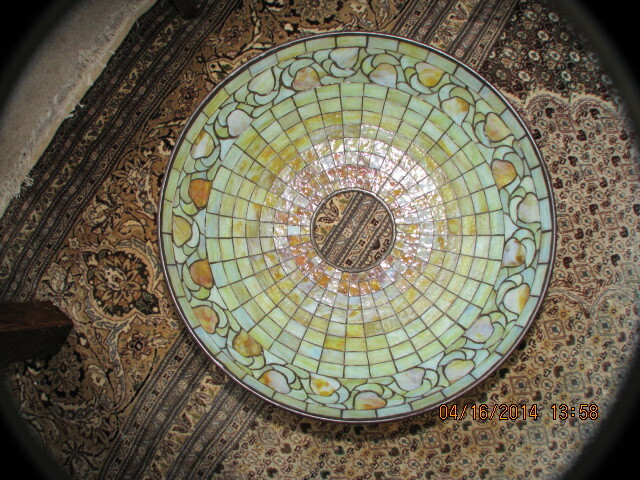 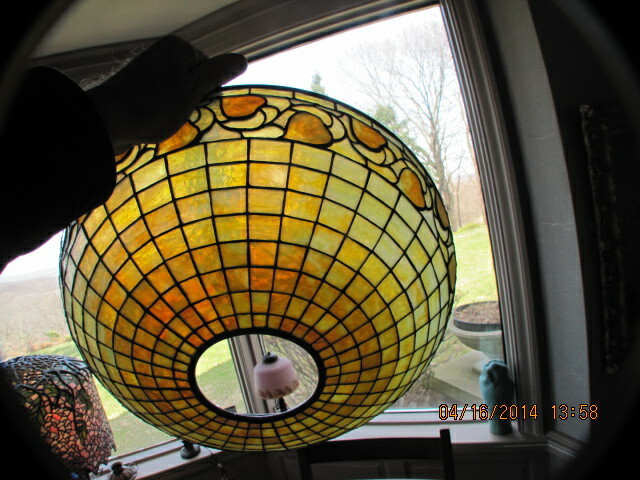 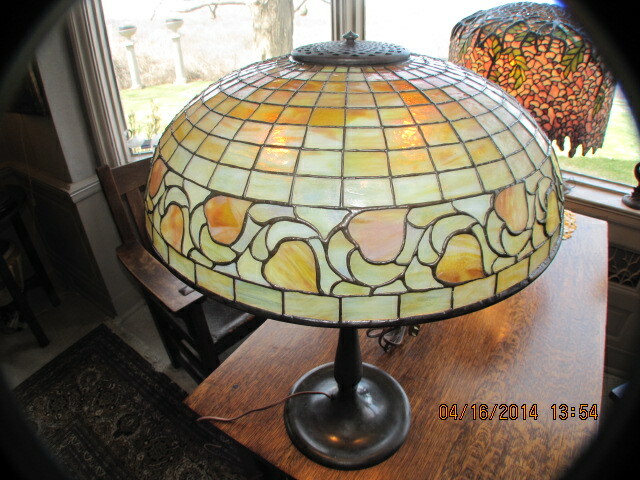 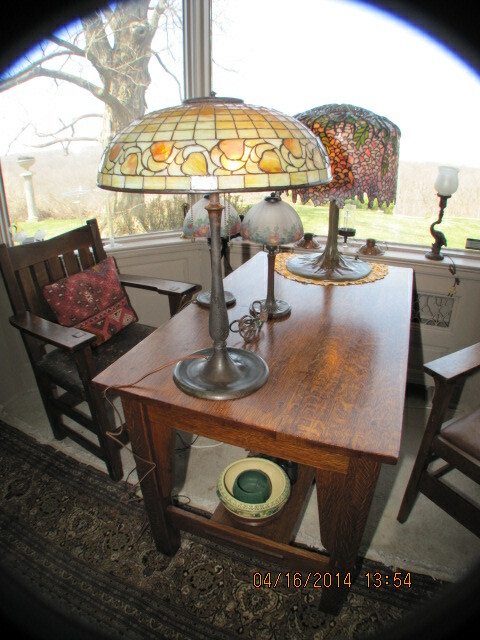 The Bigelow Co. were of such high quality in workmanship and selection of high grade glass, one of the few lamp manufactures that raveled TIFFANY. 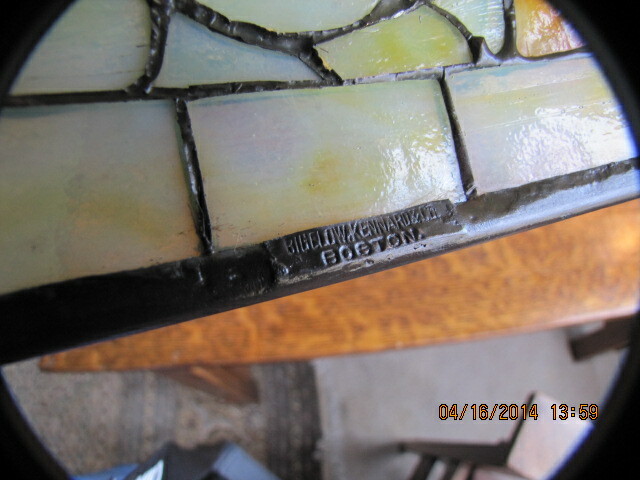 The shade measures 18" is properly signed BIGELOW & KINNARD BOSTON. 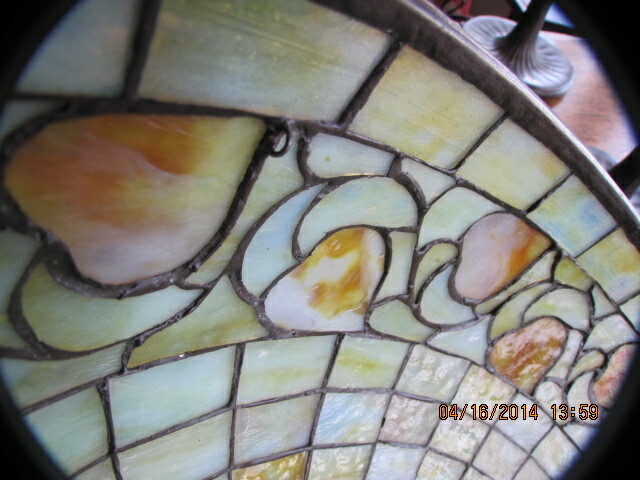 Glass has the graduated colors that blend perfectly. 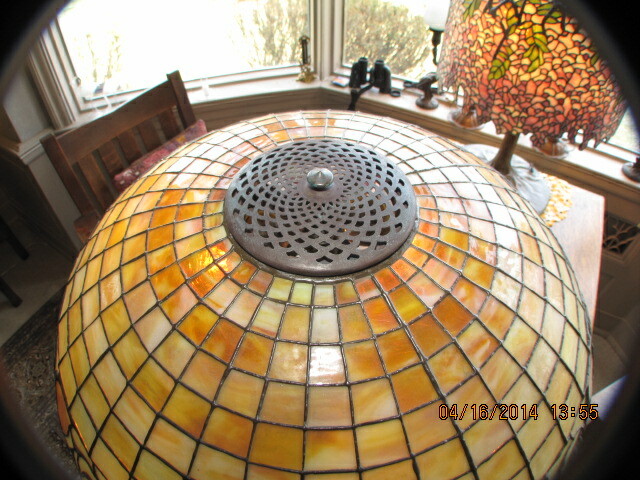 Has the internal price tag loop, and free of damage save one tight heat line. 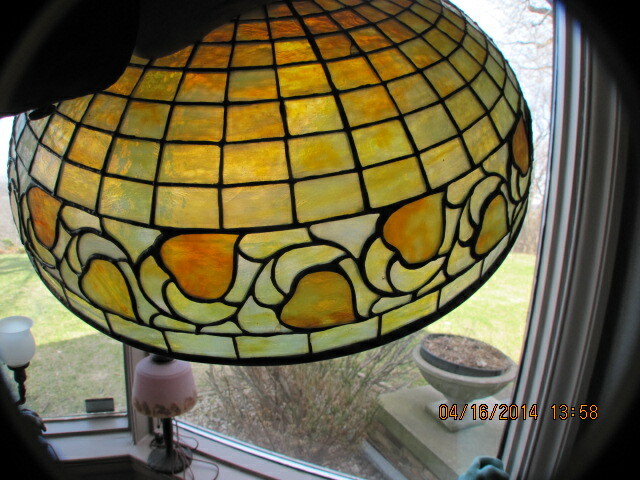 I have attempted to capture the beauty with my digital camera. 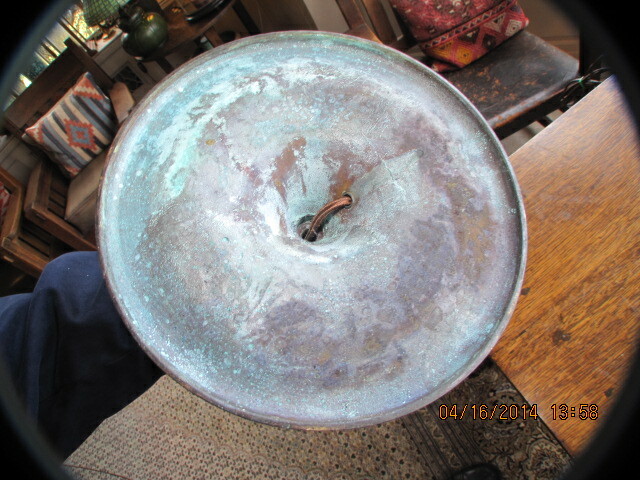 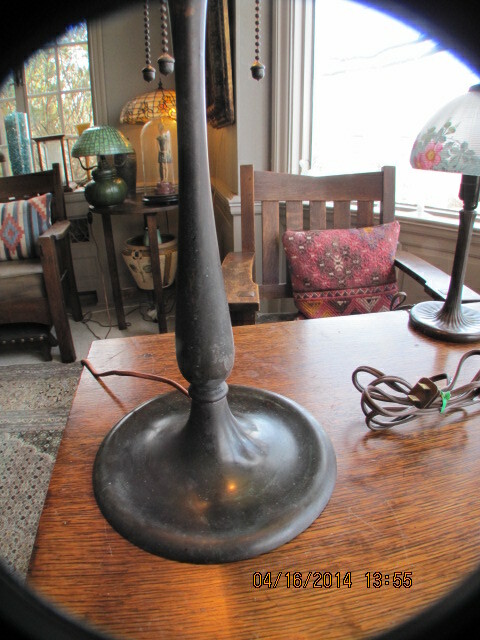 The solid bronze lamp base stands 23. 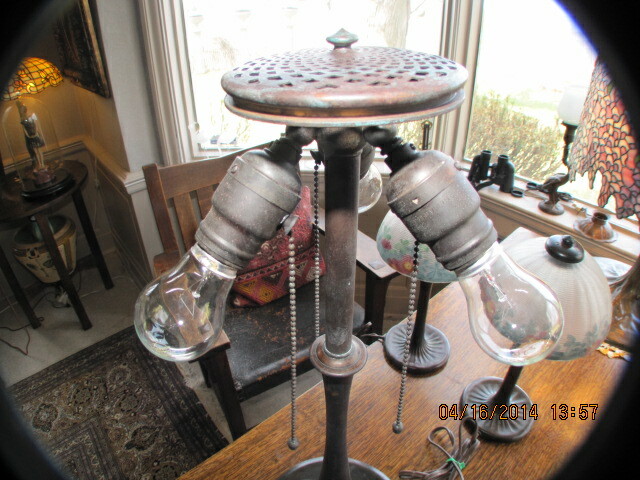 5" high and has all it's original high grade hardware including 3 two screw EDISON sockets and acorn chain pulls. 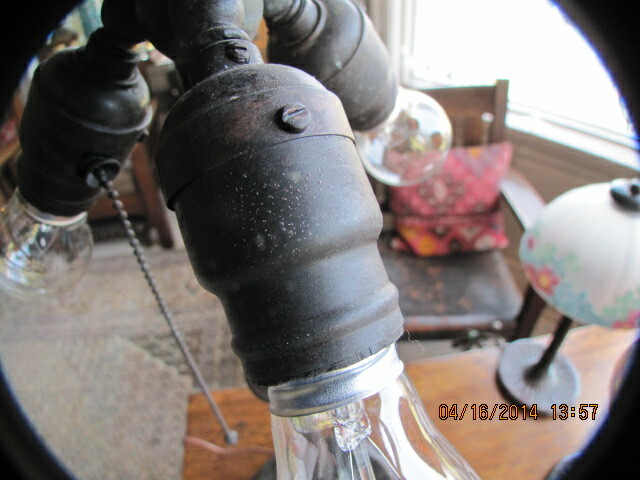 Rewired for another century of dependable service.